Simple and easy to make cupcakes, ideal for Kids party or any kind of party. How to make cupcakes just follow the instruction bellow. Beat with an electric whisk until smooth. Spoon the batter into the approx 20 cupcake cases. Once its done let it cool for 5 minutes before decorating with icing. What do u mean by 1 cup could you give me the mass instead. I really want to do thos recipe please reply on youube as well as here. Could we use fine sugar instead of caster sugar? hi, may I ask do we have to add two tsp of baking powder or one ? Give us your email address and we will send you the weekly recipe straight to your inbox. Copyright © 2019 Lutong Pang Pamilya. All Rights Reserved. Hey Buddy!, I found this information for you: "How to make cupcakes". 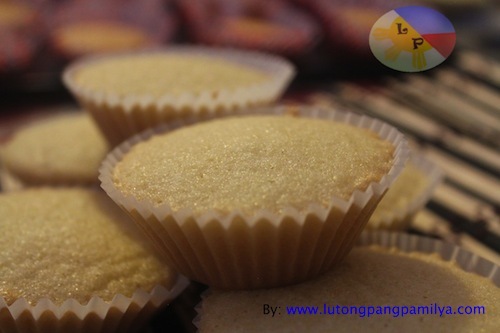 Here is the website link: http://lutongpangpamilya.com/cup-cakes/. Thank you.